A biblical theme is focused on each month, which may include Daniel and the lion’s den, Noah’s ark, who is Jesus and Christmas. There is no pressure to arrive at a set time. Families can arrive between 3.30/4pm – 5.30pm and engage in a lively games and refreshment time in the church; we follow this with a craft session. 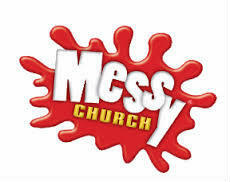 For further information on Messy Church please contact Sharon, our Children's Worker via the Contacts Page and complete an enquiry form.